Sit me in front of a TV and I could watch Jackie Chan for ages. One of my favorite series of his is Rush Hour, though in all honesty I haven’t seen many of his series. Rush Hour is the series that really made him famous here in America. There are other films that I like him in better, but this is a pretty good series in its own right. Starring Jackie Chan and Chris Tucker. 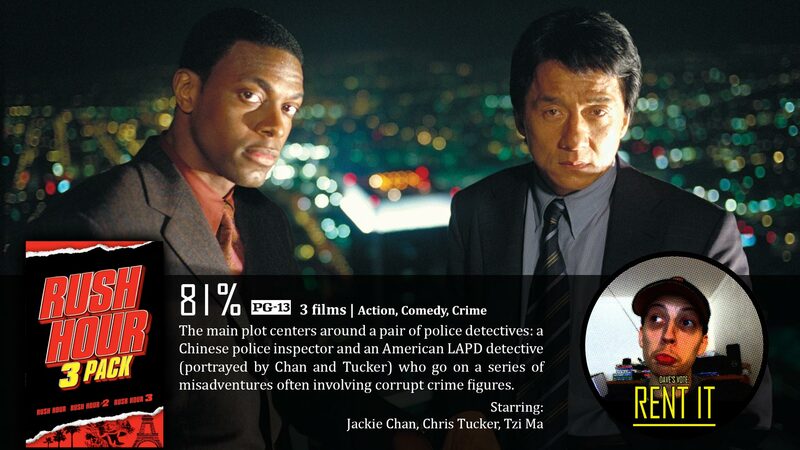 Rush Hour centers on the lives of Chinese detective Lee (Chan) and LAPD officer James Carter. For whatever reason, something big happens, which throws these two officers together time and time again. Now the something big that happens is usually something big enough that both the Chinese and the LAPD have to investigate. First it was the kidnapping of a Chinese Ambassador’s daughter while he was in Los Angeles. Then, it was smuggling counterfeit money. Finally, it was an assassination attempt, which was part of a bigger conspiracy with the triad. Truthfully, it always makes sense as to why Jackie Chan’s character is there, but it almost feels like it is pushing it for Chris Tucker to always be there. I get it. It needs that impeccable chemistry that the two have, but realistically speaking, it doesn’t make a whole lot of sense. Thankfully, it doesn’t really need to make a lot of sense, because this is a comedy, and the comedy sure is fresh. The two of them together creates some of the best onscreen chemistry I’ve seen in a long time. They work so well together, and mixed with Jackie’s always-amazing fight choreography provides for some high action with nonstop humor all around. The choreography speaks for itself. This is, again, Jackie Chan, and no one can do what he does how he does it. My personal favorite film in the franchise is the second one, while most others like the first one the best. Technically, the first film is my least favorite, as it feels like more of a cop-out with the damsel in distress theme. The second and third film are very close in how good they are in general, and the plots feel more concrete and believably meaningful for the series. 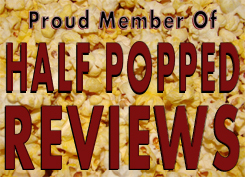 Overall, it’s an amazingly epic series that deserves your time.